The area of Ajdovščina municipality is located in western Slovenia on the border with Italy (80 km from Ljubljana and 150 km from Venice). 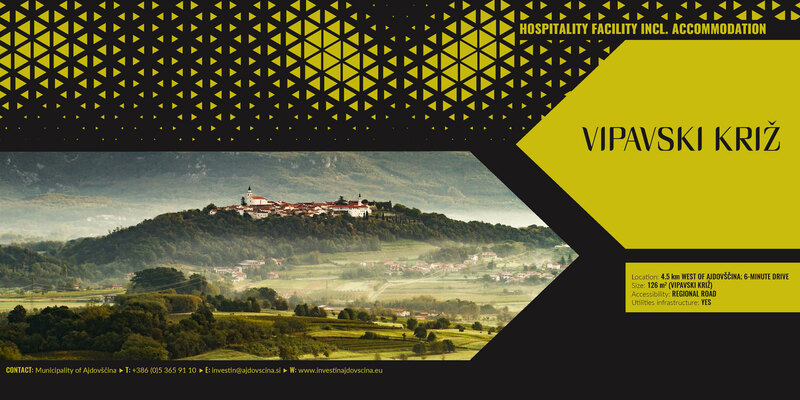 It is the economic, educational and cultural center of the Vipava valley. 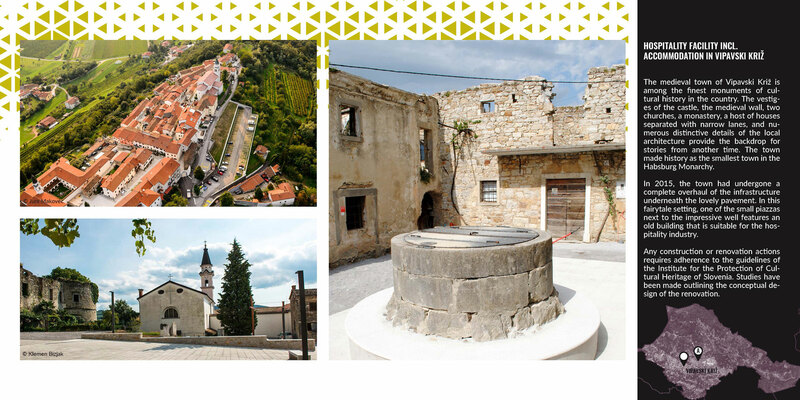 The medieval town of Vipavski Križ is among the finest monuments of cultural history in the country. The vestiges of the castle, the medieval wall, two churches, a monastery, a host of houses separated with narrow lanes, and numerous distinctive details of the local architecture provide the backdrop for stories from another time. The town made history as the smallest town in the Habsburg Monarchy. In 2015, the town had undergone a complete overhaul of the infrastructure underneath the lovely pavement. In this fairytale setting, one of the small piazzas next to the impressive well features an old building that is suitable for the hospitality industry. 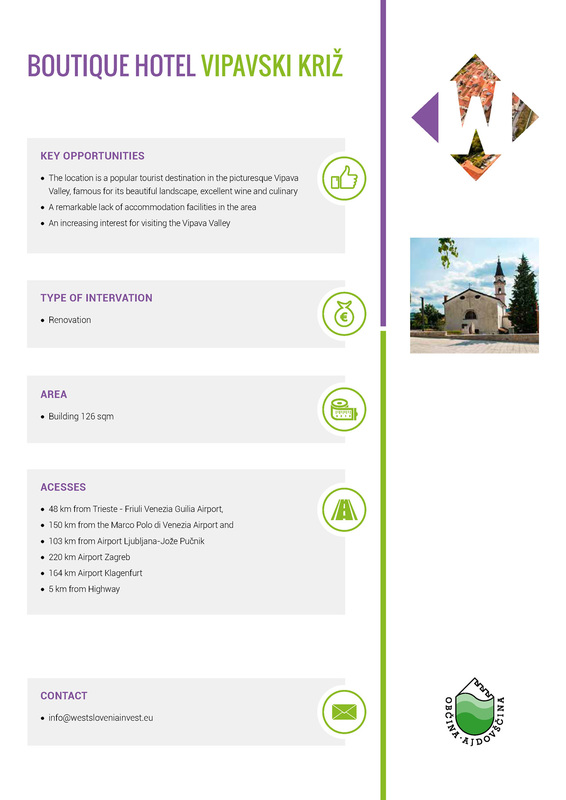 Any construction or renovation actions requires adherence to the guidelines of the Institute for the Protection of Cultural Heritage of Slovenia. Studies have been made outlining the conceptual design of the renovation.